Home Lex So What Are We Doing Wrong, and How Can We Fix It? So What Are We Doing Wrong, and How Can We Fix It? I’ve decided to break my silence about why I have become so disillusioned with hasbara pro-Israel advocacy activism, and why I gave up on it: simply, it doesn’t work. But after seeing these latest statistics from Pew (Dave dealt with them here), I couldn’t stay silent. 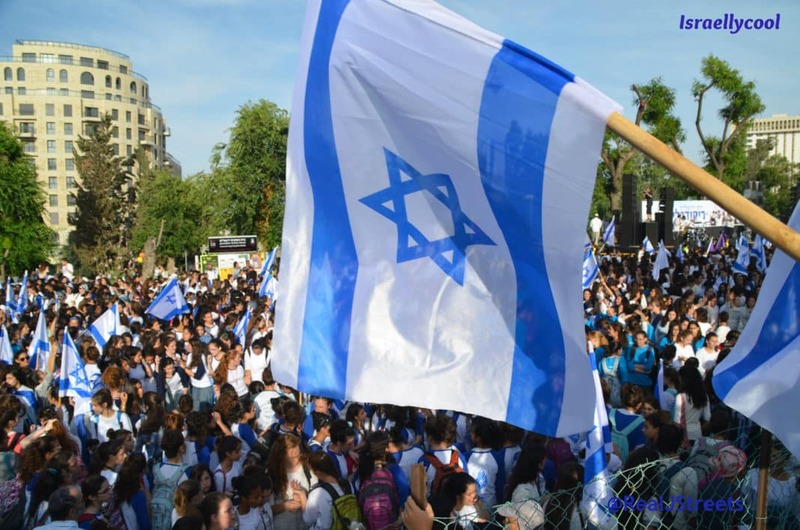 Although Israel is enjoying close to the most support it ever has in history, if you look at the current trends among the younger generation, they are somewhat alarming. The gap is rapidly closing between supporters of Israel and Palestine among the 18-29 crowd, with less than ten percentage points between those who favour Israel (32%) and those who favour the Palestinians (23%). I realized that if our current style of activism doesn’t work, it means we have to revolutionize it. What I notice here is that whenever there are peace deals, support for Israel goes up. intifadas decrease support, though it’s uncertain whether they started the intifada because they know they have the requisite international support to buffer it, or because they sell themselves as freedom fighters so well that people relate to the underdog. 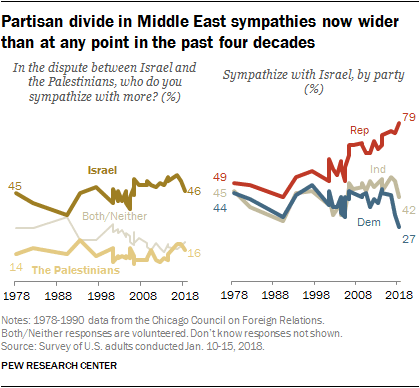 What is painfully clear, however, is that the more bipartisan and polar American society has gotten, the more partisan the issue of Israel has become. Since Obama’s second term, it has officially become part of the liberal package, the package you must accept to be counted among the progressives, to be anti-Israel. And I think that demographic should be the one we place the most emphasis on. It is clear that the Democrats value the Palestinians when they are struggling against Israel, which is portrayed in the mainstream media as a big, bad oppressor. However, for the first time, twice as many liberal democrats support Palestine as Israel, and given that most of my generation are liberal democrats, I feel like it’s our job as millennials to change the conversation. I tried to shift the zeitgeist as founder of Students Supporting Israel at Columbia. We countered Israel Apartheid Week with even more vibrant displays, but the Palestinians are leeching into pop culture at breakneck speed. With the move to be more inclusive of minorities with the latest fad that is “social justice,” there has been a rise of Palestinian-sympathizing celebrities such as Zayn Malik and the Hadid sisters, Bella and Gigi. Anti-Israel movements highlight the struggle of Palestinians for freedom in pop culture in the same way that rap music highlights the African American struggle for civil rights, using the same nostalgic imagery and vernacular, eventually getting the extremely popular youth phenomenon, #BlackLivesMatter, to openly and vehemently support them and denounce Israel as a racist apartheid state that anyone a good heart must fight against. Supporting the Palestinians over the Israelis was suddenly the “it” thing to do, and peer pressure has become so intense that all those who support Israel are painted as bad people. All this happened while the Israeli side was asleep at the wheel, not paying attention, and patting each other on the back for hosting lectures for the senior citizen crowd – if they even managed to attract a crowd in the first place. Meanwhile, in Israel, I started getting disillusioned with both the left and the right. After much soul-searching, I decided to join Yesh Atid, a party that is right wing on economics and foreign policy, and left wing on social and environmental issues and religious freedom. When one of the party leaders asked me if I wanted to run the North American division of their International Relations wing, I eagerly said yes. I felt I had to create a model that reflected the party’s own moderate approach, and it had to be groundbreaking, since obviously, our current methods aren’t working. We have organizations like StandWithUs and Zionist Organization of America (ZOA) that paint Israel as a paradise on earth, THE most moral army in the world, THE most innovative, THE most progressive, THE most LGBT-friendly, etc. Non-Jews generally don’t like our “chosen people” status rubbed in their faces, and many critical thinking people see this rose-colored portrait as evidence that we have something to hide. So, seeking a more “balanced” view, they go to “pro-Palestinian” organizations who seduce them with emotional sob stories they would feel callous to refute, and brilliant social engineering and emotional manipulation. So while J-Street’s strategy of painting Israel as a nonstop human rights violator harms Israel greatly, painting it as the opposite harms it just as much. We need to paint Israel not as a heaven or a hell, but a normal country just like every other, that is sometimes faced with dilemmas, sometimes makes mistakes, and does the best it can with the situation it’s been given, even if sometimes it has to do things it doesn’t particularly enjoy as the lesser of evils. As a country that just wants to be treated equally, that should not have an entire topic at every UN General Assembly dedicated to finding things wrong with it. Not only does tempering our message make it easier to relate to us on an emotional level, and more approachable, it also makes us appear more transparent. Transparency, or at least the illusion therof, is a value very important to information-savvy millennials. However, we also hope to captivate. To move, to inspire, with the rugged, raw truth, the good, the bad, and the ugly, that demonstrates not perfection, but doing the best we can with what we have. We know that in order to move minds, we have to move hearts first, and people aren’t moved by stories of effortless success, rather struggles grappled with, obstacles overcome against the odds, humanity at its most vulnerable. Our story of defeating those who sought to destroy us against the odds is what so enchanted people in the 1960’s, that some Arabs in Egypt founded the PLO to quash our success, with a narrative that we have allowed to leech in the mainstream due to apathy. Our story represents an identity we shed in favour of one of having “made it,” that while impressive, is not particularly likeable. People yearn for catharsis, a character they can relate to that makes mistakes and is imperfect just like them, stories of messing up and seeking to correct it, of having flaws yet good intentions, of having a loving, beating, albeit broken heart. Baring our souls is not airing our dirty laundry, but opening our hearts to both emit and absorb. We are not looking to be worshiped or even revered, rather be treated the same as everyone else. There is a struggle inside every Israeli – one that is as beautiful and captivating as it is at times tragic and brooding. It’s time to set that struggle free to truly connect with the world.